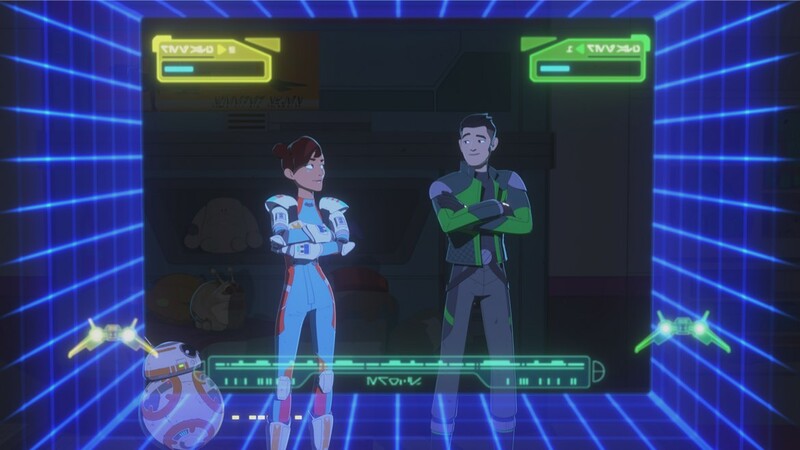 Hey now Team Fireball, it’s that time of the week for another Easter eggs and franchise reference breakdown of the latest episode of Star Wars Resistance. This week’s episode, which is titled, “Secrets and Holograms” didn’t had a ton of eggs and references per se, but the ones it did feature were pretty great, and one in particular was very revealing for a major character. So revealing that it will directly impact Kaz’s spying mission, although I still feel he’s barking up the wrong tree. I do want to point out that I am not going to be mentioning Easter eggs and references that I’ve already pointed out in past breakdowns. There were a few in this episode, such as the First Order’s command shuttle, which is the one Kylo uses in TFA, but I figured they’ve already been pointed out, so no need to cover them again. Anyway, there are four items of interest to be found in this episode, and they’re all rooted in original trilogy lore. Two of them can be traced back to The Empire Strikes Back, while another references a classic moment from A New Hope. The final one is just a direct egg from the Empire, and it was the easiest to spot. The Easter eggs and references can be found below if you don’t feel like watching the video, but you should, because that’s what good Star Wars fans do.